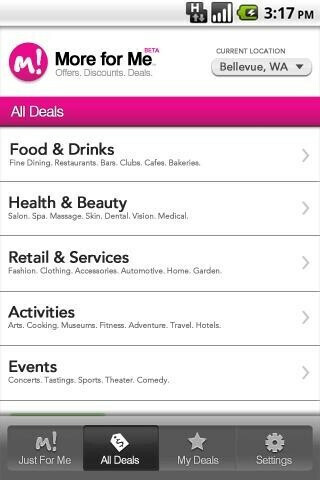 T-Mobile has launched the first-ever daily deal aggregator from a national carrier. Android users running version 1.6 or above (i.e. most of you) can download the app for free from the Android Market. While 'More for Me' is a T-Mobile product, it is available to all Android users, and will be expanded to other operating systems soon. While 'More for Me' is innovative for its carrier partnership, it really is just an aggregator. The only exception might be that the app includes "exclusive offers from T-Mobile and its partners". 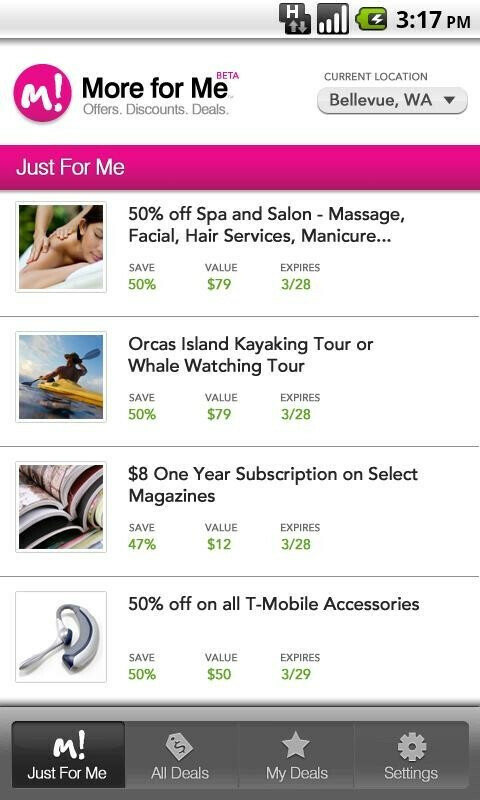 'More for Me' allows you to customize your social shopping experience for your tastes and location. T-Mobile touts that "Customers can get discounts on a wide variety of products, making it easier than ever for people to save money while on the go." Social shopping isn't for everyone. But if you can tolerate the superfluous notifications, and the often off-target suggestions, you can find some really great deals on the stuff you want. So what do you think? 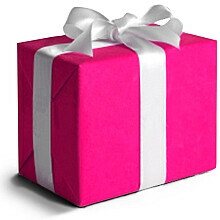 Is it weird for a carrier to manage a social shopping service? And what happens to it when (and if) AT&T is in the driver's seat? Its okay. Useful but not original. 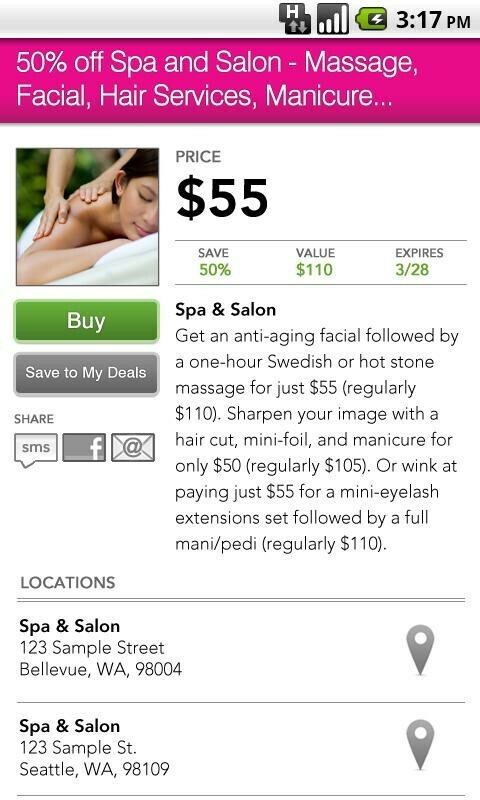 There are plenty of coupon apps that find deals in your local neighborhood in the market. I tried this just now and couldn't find many deals. Which is kind of weird seeing that I live in the city... I like the idea but its already been done with more functionality.